Traditionally, British bookmakers offer bets on who will be the new Pope. While the largest British boomaker William Hill sees Cardinal Secretary of State Tarciso Bertone (Italy) in a lead with a quote of 9/4, Irish bookie Paddypower has Curial Cardinal Peter Turkson (Ghana) ahead with 2/1. However, quotes change daily if not hourly! UPDATE: William Hill is no longer offering bets on the new Pope! With the General Congregations on the way, there is about 10 Cardinals that can be called most “papabile”. Candidates from Africa have good chances, but also churchmen from the Americas can hope. Or will it be yet again an Italian? Milan’s Archbishop Angelo Scola got entrusted with the management of the populous archdiocese by Benedict XVI. in 2011. He was a close friend of John Paul II, and after his death a contender for the Pope’s successor. The 71-year-old commented vaguely on Benedict’s resignation: “It will be, as he himself has said, for the good of the Church.” “It’s a decision that fills our soul with pain and regret.”, said the Archbishop. As the Roman “Fatto Quotidiano” reported, Angelo Scola was one of Joseph Ratzinger’s students in Freiburg (Germany) and later in Milan taught no less than Silvio Berlusconi, as well as his political companion now convicted of mafia links Marcello dell’ Utri. His friendship with the founder of the world wide active, in Italy very influential Catholic movement “Communione e Liberazione” (“Community and Liberation”), Don Giussani, has caused concerne within the Church. “Communion and Liberation” is close to Berlusconi’s PdL party and is suspected of bribe payments in connection with the Vatileaks affair. Last year, Scola distanced himself from the movement. Peter Turkson was born in Ghana, studied in New York and earned his Licentiate at the Pontifical biblical Institute in Rome. In October 2009, Pope Benedict XVI. appointed Turkson President of the Pontifical Council for Justice and peace. As a “Minister”of Social Affairs, he was from now on the “face of Africa” in the Vatican, taking care of human rights and the spread of Catholic social teaching. 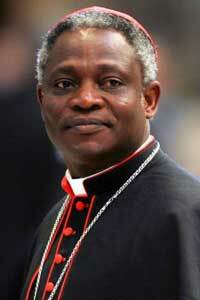 By the age of 44, Turkson was Bishop, and from 1997 to 2005, he led the Ghanaian Bishops’ Conference. Also Cardinal Secretary of State Tarcisio Bertone, second highest in the Catholic Church hierarchy, has always been one of “papabili”. The 78-year-old, however, made the headlines in connection with the scandal of the U.S. priest Lawrence Murphy, who allegedly abused up to 200 deaf children. According to the “New York Times” and “Time Magazine”, he is said to have tried to downplay the case. 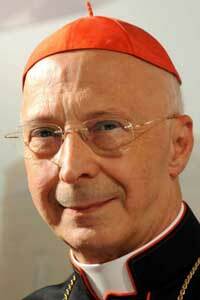 Bertone is the man with the greatest political power in the Vatican. In recent years he won over quite a number of Cardinals and Bishops to his side and installed them in key positions. In realpolitik he is close to the center-right forces in Rome, including Gianni Letta of the Berlusconi party PdL. Even the president of the Italian Bishops Conference and Archbishop of Genoa, Angelo Bagnasco, can hope to become pope. The former military chaplains made ​​​​the headlines in 2007, when he denied the legitimacy of the sacrament of marriage to any other form of cohabitation. The Emeritus Archbishop of Quebec, the Canadian Marc Ouellet made ​​in 1983 his doctorate in dogmatic theology at the Pontifical Gregorian University. He completed his doctorate on the, by Joseph Ratzinger much appreciated, theologian Hans Urs von Balthasar (1905 – 1988). Ratzinger and Ouellet have been friends for a long time. From 1997 to 2001 Ouellet led the Pontifical Institute for Studies on marriage and family issuesand since 2010 he is the Prefect of the Congregation of Bishops, kind of a “staff manager”, who takes care, among other things, of Bishop nominations. The public took notice of Ouellet, when he led a penitential service in Rome in 2012, with regard to the abuse problems, and asked for forgiveness. Ouellet worked in Colombia for several years and has a close relationship with the South American Church. Asked whether he could imagine to be Pope, Ouellet however said in June 2011, that the job was “a nightmare” , given the massive workload and responsibility. When it comes to the influence of Latin American Catholics, especially one name is always mentioned: Cardinal Odilo Scherer, Archbishop of São Paulo. Scherer’s ancestors originated from the Saarland (Germany), and settled in Brazil. With about 5.2 million Catholics, Scherer heads the largest metropolis of the Catholic Church. Accordingly, there is the influence of the Archbishop. In Brazil people call Dom Odilo Scherer, He stands especially up for the rights of the poor, visits them in the favelas, knows about their needs. Scherer has repeatedly looked for ways, to give the laity more responsibility. 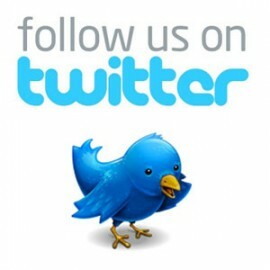 They should help to push back the influence of the Pentecostal Churches, that promise quick help with everyday problems, and lured away many members of the Catholic Church around the globe. Also in Austria, there is a promising candidate – the Vienna Cardinal Christoph Schoenborn, with 67 years one of the youngest among the “papabili”. 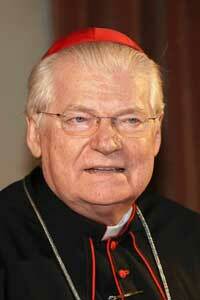 In the early seventies, he studied with Joseph Cardinal Ratzinger in Regensburg ( Germany). Both are said to have got on very well, both are considered brilliant theologians. Schönborn contributed significantly to the “Catechism of the Catholic Church”, published in 1992. He is a man of balance and centrism, supports charismatic movements such as Opus Dei, but is also committed to the achievements of the Second Vatican Council. The relationship with the Eastern Church is a particular concern for Christoph Schönborn. As Benedict XVI., Schoenborn is said to be primarily a scientist who goes into problems just theoretically. Critics say that he is out of touch with everyday life. However, Schönborn was one of the first who clearly positioned himself in the sexual abuse scandal that struck the Catholic Church. After his appointment, he was therefore most of all a crisis manager. Because of his position, he even had to report to Rome. Benedict XVI. rebuked him, for accusing another Cardinal to hinder abuse investigations. Schoenborn took also part in the Conclave that elected Ratzinger as Pope in 2005. 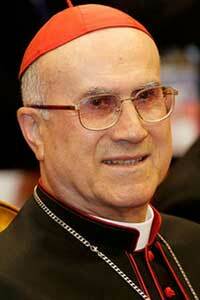 Also on the radar: The Argentine Cardinal Leonardo Sandri, born in Buenos Aires in 1943. 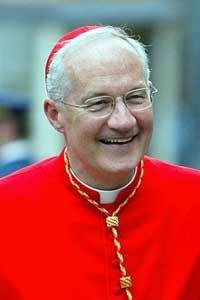 He was appointed Prefect of the Vatican Department for the Eastern Churches by Benedict XVI in 2007. He is a member of the Pontifical Council for Interreligious Dialogue and the Pontifical Commission for Latin America. Also the Archbishop of Manila, Luis Antonio Tagle, is traded as an insiders’ tip, as Benedict’s successor. The 55-year-old studied theology in Manila and Washington, and was appointed to the international theological Commission of the Vatican in 1997. 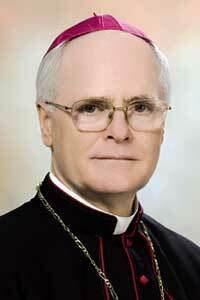 In October 2001 Johannes Paul II appointed him Bishop of Imus, 2011 he was appointed Archbishop of Manila. The Archbishops of Manila are traditionally of political importance. Manila is the largest diocese in the country, with nearly 2.9 million Catholics. More than three quarters of the population of the Philippines are Catholic. One of their senior representatives already raised a claim on the succession of the office . “We Filipinos want a Filipino as Pope,” said the media officer of the Bishops of the country. 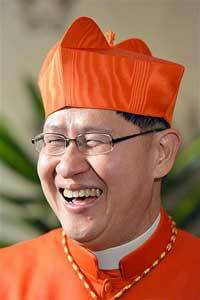 He wishes therefore, that “our own Cardinal” Luis Antonio Tagle will succeed Benedict XVI. This entry was posted in Conclave 2013, Pope Candidates and tagged africa, Angelo Bagnasco, Angelo Scola, Archbishop, Archdiocese, Argentina, Austria, Benedict XVI, bets, bookies, bookmakers, Brazil, british, British boomaker, Buenos Aires, camerlengo, Canada, cardinal, Cardinal Secretary of State, Christoph Schoenborn, Curial Cardinal, Fatto Quotidiano, Ghana, irish, italy, latin america, Latin American Catholics, Lawrence Murphy, Leonardo Sandri, Luis Antonio Tagle, Manila, Marc Ouellet, new pope, odds, Odilo Scherer, Paddypower, papabili, Peter Turkson, Philippines, Pope, Quebec, ratzinger, Sao Paulo, scandal, surprise, Tarcisio Bertone, the Americas, Vienna, William Hill by Secretary. Bookmark the permalink. I would love to have a Filipino Pope for the first time. I am a Filipino married to a Japanese. 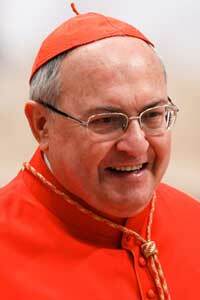 I will pray that the Holy Spirit will guide all the Cardinals in choosing the next Pope. God loves all of them. country and the most qualified speaks many languages. 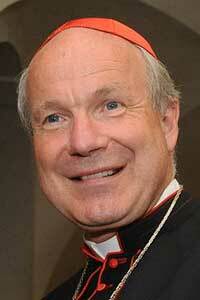 I’m praying everyday for Christoph Schönborn to elect him as a pope. He is great theologist and very good friend for teens. Especially now, when we have a religion crisis with youths (as I see it with my friends), we have to have a good mentor. God bless him and all the electors.